This book has ALL THE SWOONS!! 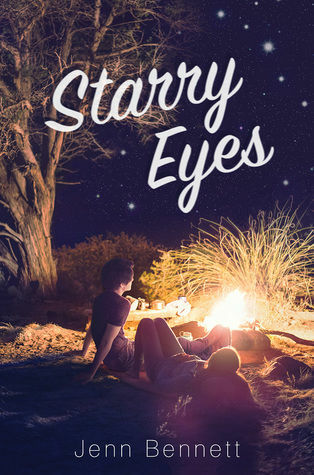 ALL THE STARS to “Starry Eyes” by Jenn Bennett! I adored this book. Who doesn’t love a modern Romeo and Juliet adaptation?!?! Bennett delivers a fun, fresh, quirky, tale of misunderstandings, family drama and a wicked adventure. “Starry Eyes” is star-crossed lovers, butterflies, enemies, feuding families, starry skies and awesomeness!! This book starts off with a bang! Right in the middle of a clan battle, the same battle that took Eelyn’s mother and brother five years prior. As she fights, she comes face to face with a warrior that looks eerily like her dead brother. Thinking she must have seen a ghost because she saw her brother die with her own eyes and there is no way he would be fighting with the enemy, but now, she is not so sure. GOSH! It is so GOOD! The battle scenes are of epic proportions, original in plot, setting and design, Adrienne Young takes us on an exciting, Viking adventure sure to capture your imagination and your heart. 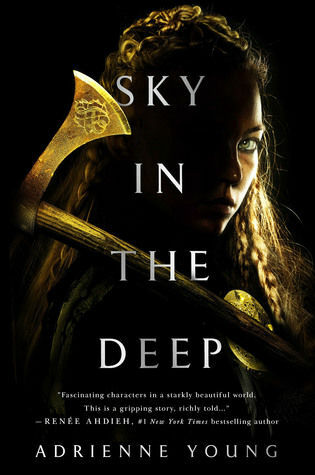 “Sky in the Deep” is fast paced, written in captivating prose and really keeps you at the edge of your seat. Strong female protagonist, wonderful world building and light on the romance Young’s debut novel is bloody brilliant!